The Port Authority of New York and New Jersey voted on Feb. 15 to dedicate $44 million to the multibillion dollar Hudson River tunnel project. The Hudson River tunnel project involves the construction of a new two-track rail tunnel from Newark, N.J., to Pennsylvania Station in New York City and the rehabilitation of the existing 106-year-old North River Tunnel, which incurred damage during Superstorm Sandy in 2012. The $44 million would finance preliminary work, such as the $12.5 million relocation of the Long Island Rail Road’s emergency services building in Hudson Yards, which stands in the way of where new tracks for the tunnel eventually will run. The remaining $31.5 million would cover administrative costs, such as additional staff and outside planning advisers. The tunnel is part of the Gateway Program Development Corporation’s massive infrastructure project series, which also includes the replacement of the Portal Bridge — a 106-year-old two-track railroad swing bridge that spans the Hackensack River between Secaucus, N.J., and Kearny, N.J. — with a new fixed span. The corporation, known as GDC, is a nonprofit group that works closely with the U.S. Department of Transportation, Amtrak, New Jersey Transit and the Port Authority. The Port Authority vote was three days after President Donald Trump unveiled his long-awaited infrastructure bill, which calls for $200 billion in federal funds to leverage $1.3 trillion over a decade. The bill did not outline a clear strategy for ensuring the long-term solvency of the Highway Trust Fund, which provides financial backing for state infrastructure projects. Former President Barack Obama forged an agreement with New York and New Jersey wherein the federal government and the states would split the cost of the project 50-50. Trump has yet to announce whether his administration plans to maintain his predecessor’s commitment. In December, the states and the Port Authority announced they could commit $5.5 billion to the project. Many state leaders and industry experts, including GDC Interim Executive Director John Porcari, have expressed the need for more federal engagement in state-level infrastructure projects. “The Gateway Program remains the most urgent infrastructure program in America and a project of national significance for which there is not a minute to lose. The substantial commitment by the States of New York and New Jersey for the Hudson Tunnel Project is an important step but does not replace the crucial role of a federal funding partner,” Porcari said. Construction will start on the Portal Bridge in New Jersey in 2018. The Federal Railroad Administration’s final environmental impact statement for the $1.5 billion Portal Bridge project was issued in 2008, and an environmental re-examination was completed in 2016. According to Amtrak’s website, the Port Authority, NJ Transit, Amtrak and U.S. DOT are developing a financing plan so that construction can proceed. 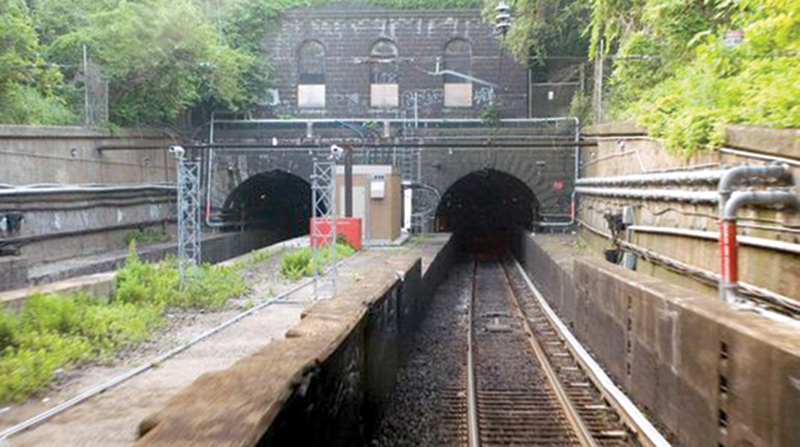 The Hudson River tunnel is still in its design phase, with construction slated to begin in 2019.